My case of the January blues has come a little late this year. Feeling a little insecure or disapointed in yourself? I know I am. The January blues have a way of creeping up and totally surprising you, leaving you craving a little something extra. This cake did it for me. It gave me a little boost and makes life a little more bearable. I am a big fan of a couple of magazines and websites devoted to food. Delicious Magazine is one of those. I always find something new and exciting and I keep all my copies for when I might need some help. Last months issue had a banish the back-to-work blues spread, this chocolate tiramisu cake was centre stage and I am simply delighted with it. 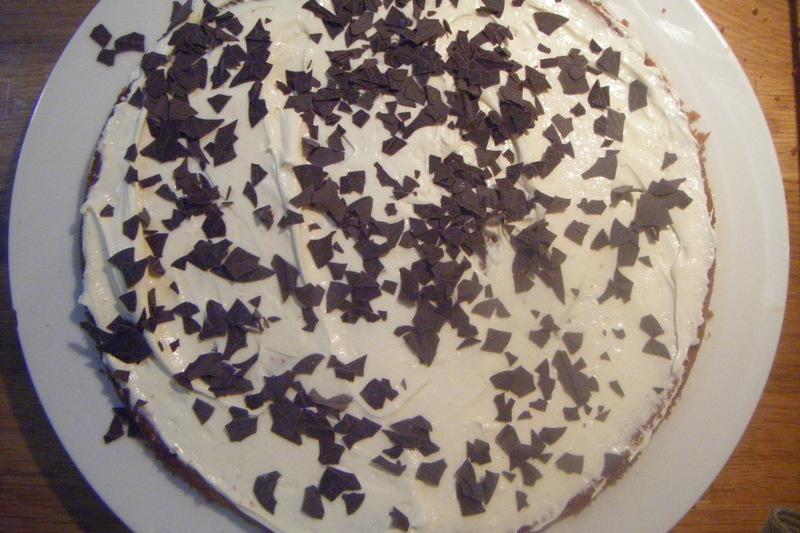 My recent venture with a layered cake was not entirely successful. I made a four layered vanilla sponge with raspberries and a vanilla butter cream. Tasted yummy but didn’t quite look as elegant as I would have liked (parts of the sponge crumbled and I ran out of icing half way through… ahhh panic!). This time, I was determined to get it looking right. And it actually worked, the recipe was faultless and produced a lovely looking cake, maybe a bit retro in style but tasted just right. 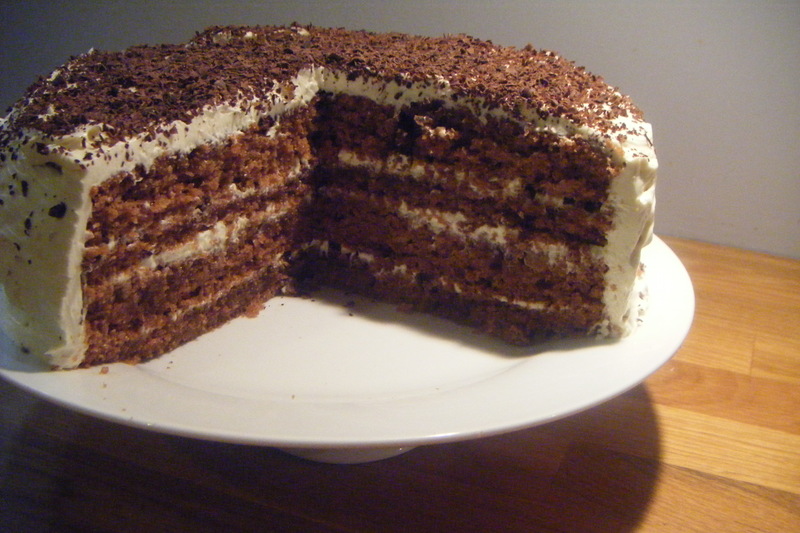 Not too heavy, a nice hint of coffee, and the right balance between chocolate, amaretto and creamy frosting. It also produced a jolly large cake, that has me in the good books as I have been dishing it out left right and centre, including to my lovely new driving instructor who has to put up with me not knowing my left from right. 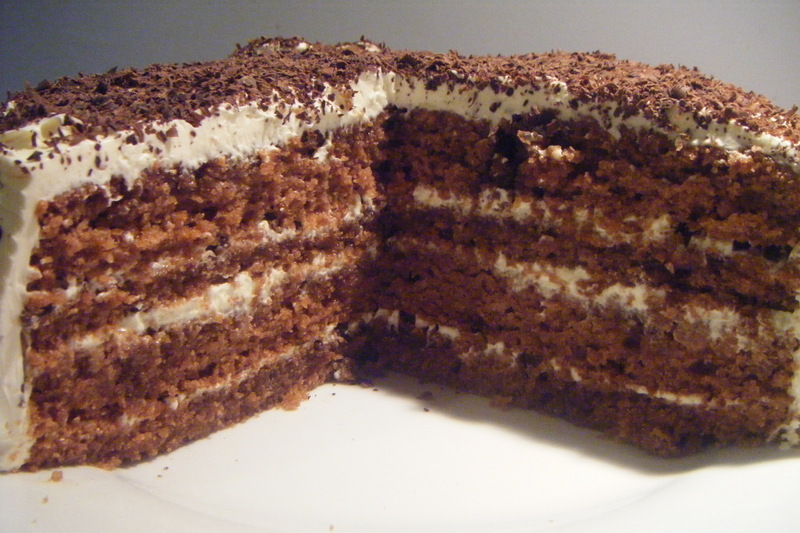 You just have to try this cake! But be warned, make it for a lunch event or book club or something, otherwise you end up with one massive cake sitting in your fridge that you end up eating for breakfast. Preheat the oven to 180°C/fan160°C/gas 4. 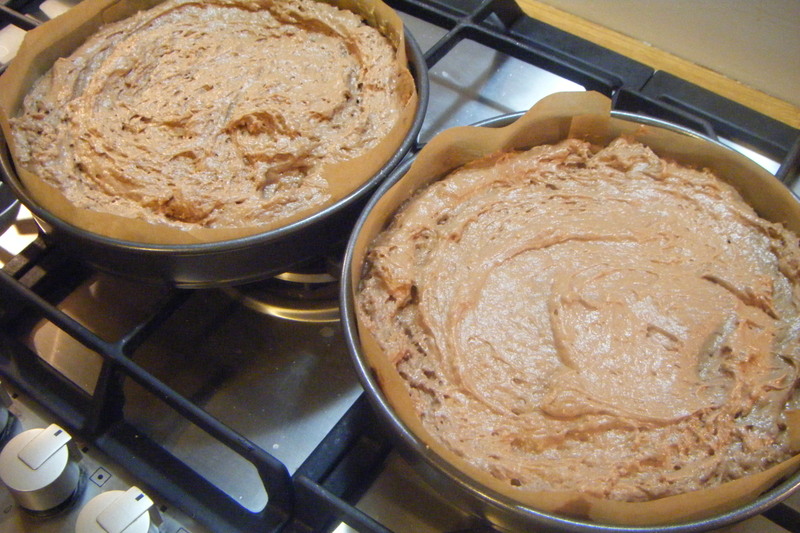 Grease and line 2 x 20cm cake tins with baking paper, then set aside. 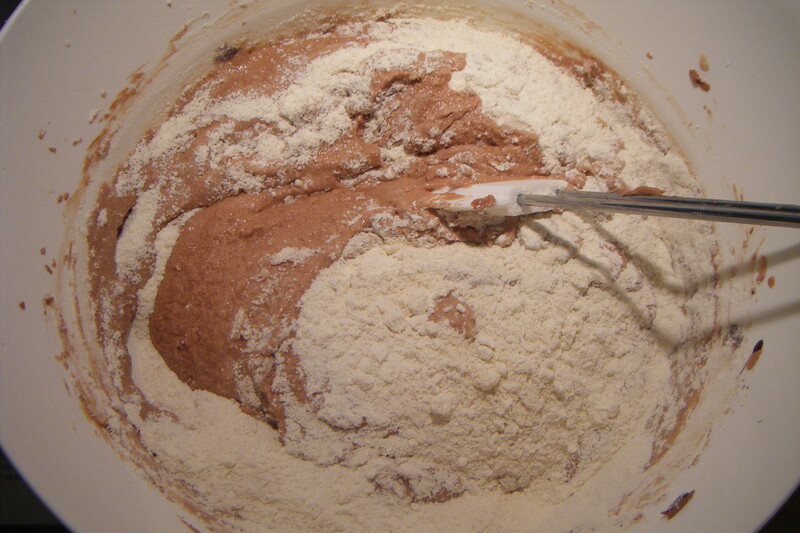 Put the flour, ground almonds, baking powder and a good pinch of salt in a mixing bowl and mix together well. 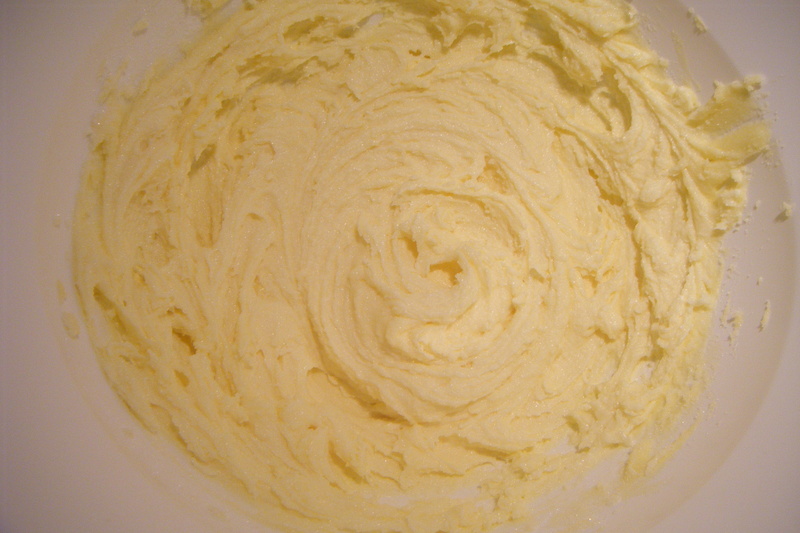 In another large mixing bowl, beat the butter and the 200 g caster sugar together with an electric hand mixer (or use a stand mixer) until light and fluffy. Beat in the melted chocolate. 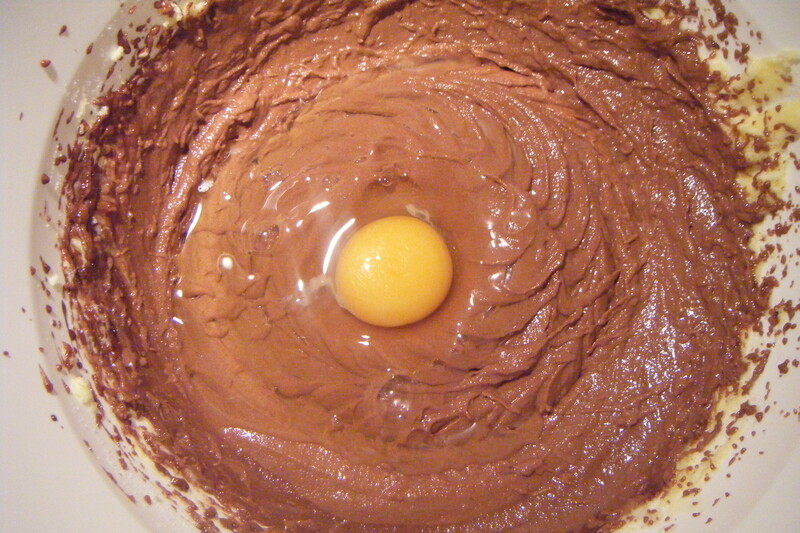 Then gradually beat in the eggs, one at a time, beating well after each addition. 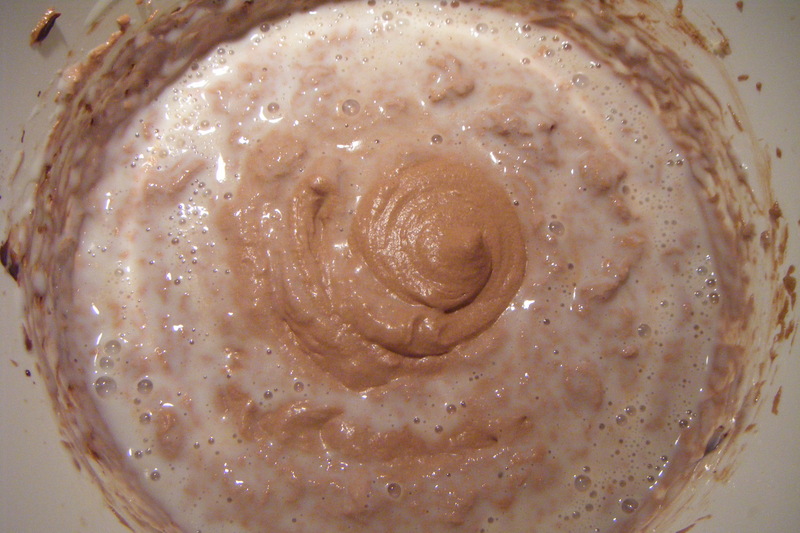 This turns it lighter in colour and will give it a smoother consistency. Add the vanilla extract and buttermilk, then fold in the dry ingredients. Divide the batter evenly among the prepared cake tins, then bake for 20-25 minutes until a skewer pushed into the centre of each sponge comes out clean. Remove the cakes from the oven and cool in the tins for 5 minutes, then turn out onto a wire rack to cool completely. To make the syrup, put the espresso, 100 ml amaretto and 150 g sugar in a small pan over a low-medium heat. Allow the sugar to dissolve, then bubble for a few minutes until it forms a very light syrup. Set aside. 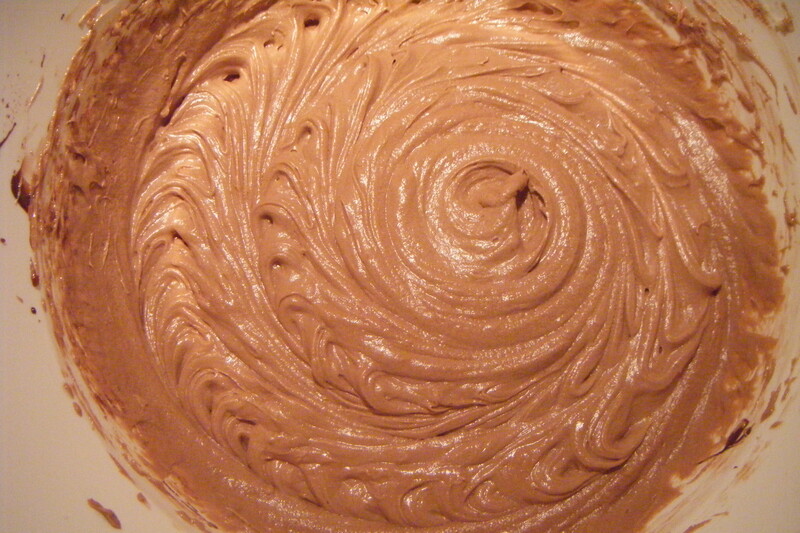 For the icing, beat the mascarpone with the icing sugar, vanilla and 2 tbsp amaretto in a mixing bowl until smooth. 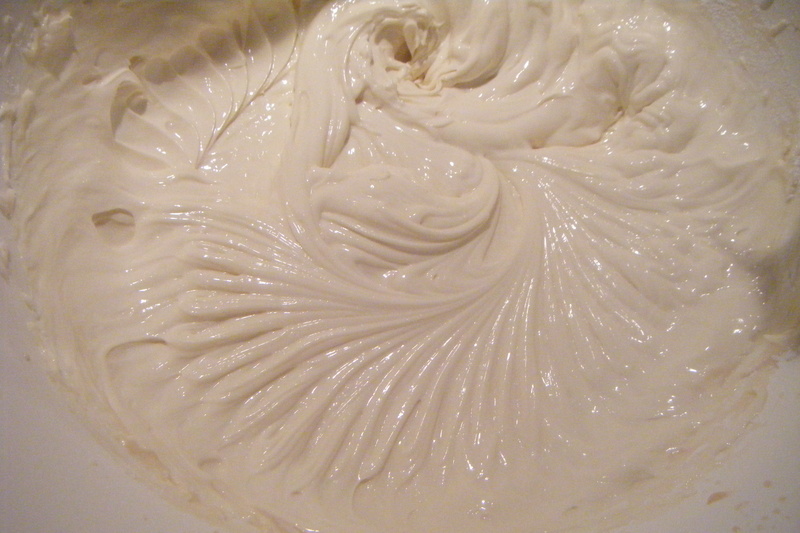 In another bowl, whip the cream until it holds its shape, then fold into the mascarpone mix. To assemble, slice both cooled sponges horizontally through the middle. Put a sponge on a serving plate, then drizzle over a quarter of the syrup. I drizzled with a spoon and then using a pastry brush, bushed a little extra over the entire sponge layer. 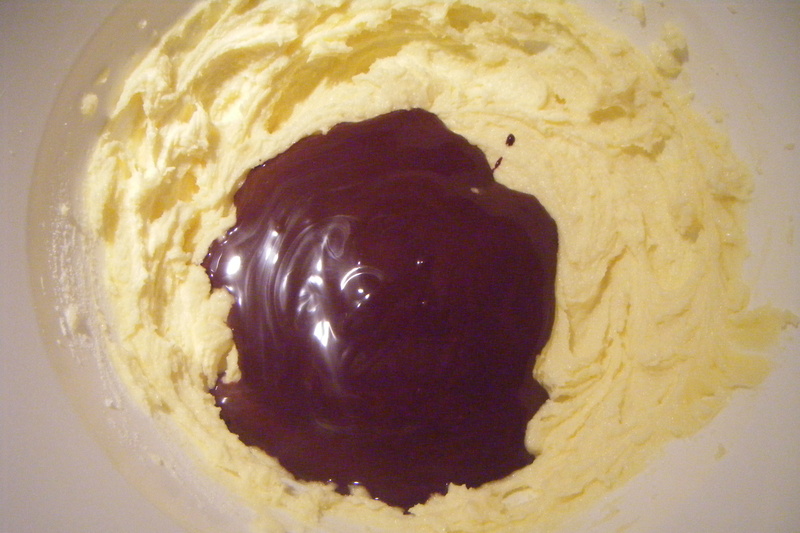 Spread over a little of the icing and scatter with grated chocolate. Top with another sponge, the syrup, icing and chocolate. Repeat once more. 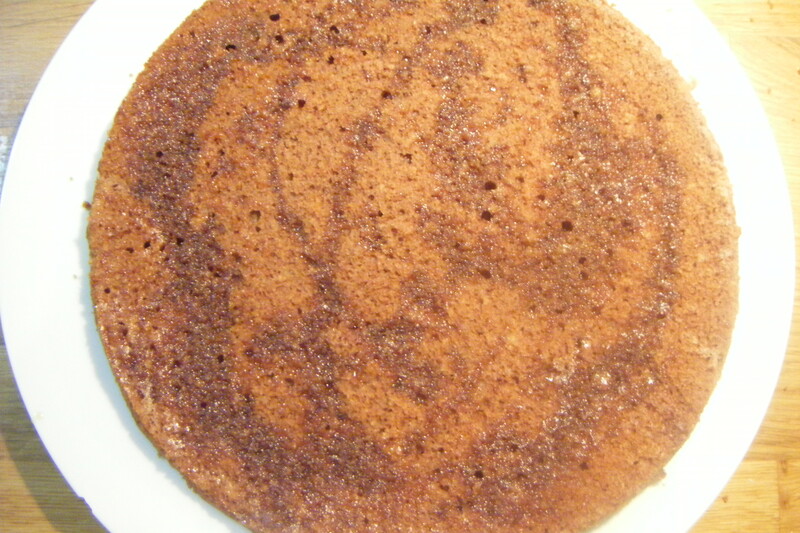 Top with the fourth sponge, then drizzle over the remaining syrup. 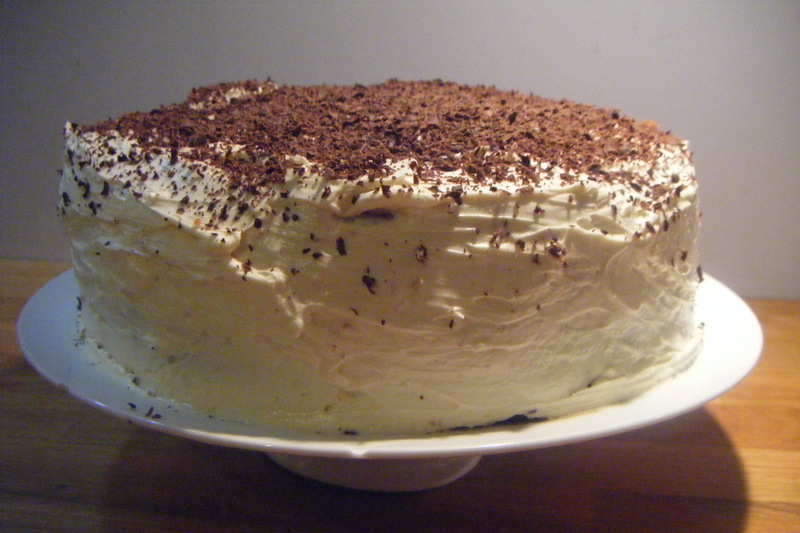 Spread the remaining icing over the top and sides of the cake, then decorate with the remaining grated chocolate. I love coffee taste in desserts. Thank you, wish I had made a smaller version though as there is only so much cake you can eat.